It's all about the STORY! 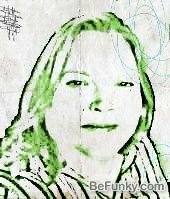 Daphne Taylor Street is a freelance writer, blogger, grant/proposal writer, nonprofit development consultant, communications consultant, public speaker and internet radio personality in the Tampa Bay area. She has been a professional in the nonprofit industry for more than 18 years, spanning everything from fine and performing arts to substance abuse and mental health services. In the summer of 2011, Daphne left her full-time job as a grant writer to pursue her freelance writing and communications consulting business in full-force, and added her former employer as a client. WHAT DOES DAPHNE DO? Daphne’s focus is on strengthening her local community and beyond through dynamic business strategies, creating value for businesses while helping to develop diverse revenue streams. To further this goal, Daphne works hand in hand with small businesses, nonprofits and artists; armed with a background in communications, marketing, private sector funding procurement and nonprofit development; to help them amplify their branding and communications to increase overall business sustainability and growth. RESULTS: Daphne’s grant and proposal writing services have resulted in millions of dollars of local, state, federal and foundation awards and private sector funding, spanning 14 years of experience. Countless new business offerings, programs, products and services have come to life through Daphne’s visionary approach to matching a company’s mission and strengths with opportunities for growth, enhancement and expansion. Daphne is regularly published as an author through a variety of media and has ghost-written, co-authored and written published articles on behalf of many clients, further positioning them as experts in their field. Daphne currently has two books under development, co-authored with a client. Daphne’s copywriting and graphic design skills are engaging and action-oriented, amplifying brands from diverse industries. Combined, these strategies have generated revenue; lead to procuring private investments, grants and contracts; and helped businesses survive and grow. You can visit Daphne on her blog: www.daphnestreet.wordpress.com; check her out on LinkedIn: www.linkedin.com/in/daphnestreet; or contact her directly via email: dts.streetmedia@gmail.com.